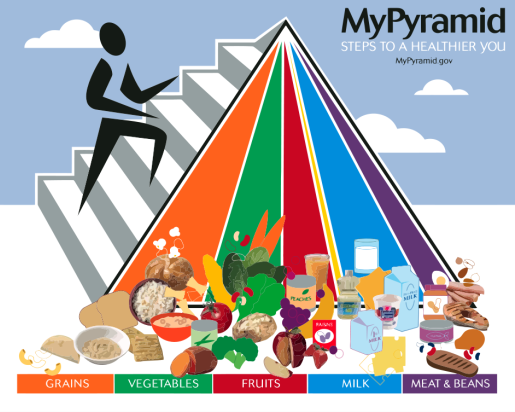 In 2005, the USDA revised the traditional food pyramid to the current MyFoodPyramid design. It was supposed to make things easier and more logical for people looking to eat right. It seems to have only made things worse. Americans are fatter and more unhealthy than ever, and it’s no thanks to how we eat and what we eat. Sensing that the food pyramid is worse than ever, the USDA Center for Nutrition and Policy Promotion is redesigning the food pyramid in an attempt to make it more practical and useful. “We can’t load people down with different messages,” the USDA’s Dr. Robert Post said. “We have to focus on practical, simple, easily applied messages that show action that consumers can take.” Maybe instead of a food pyramid, we need to make it a food pizza. People love pizza, and it’s already triangle-shaped so you can keep the pyramid posters, just maybe make the various topping clusters the amounts of what food should be eaten when? Just a thought.